The link to the file for the simple model ships doesn't seem to be working. Thanks for the review. I'll be adding your site to "favorites". The card file link is broken. I will fix it later today.Thanks Patrick. Thanks for the write up. 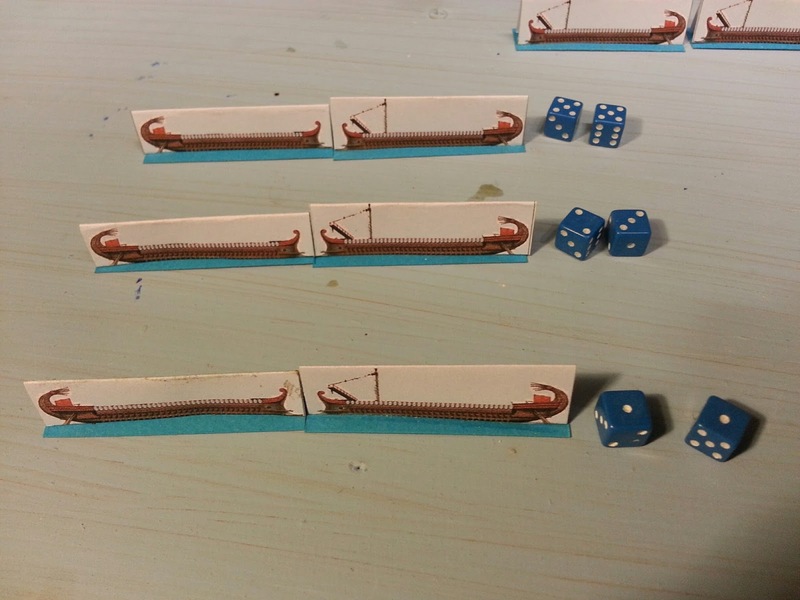 As a beginner in ancient naval, I read the book and just took it at face value. 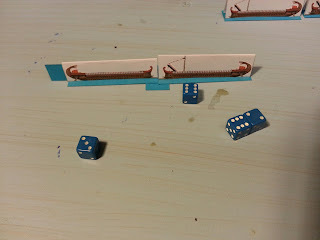 What I get from your review is that PW is a good starting point but there is much more to ancient naval warfare than just ramming each other. Thanks also for the card models. 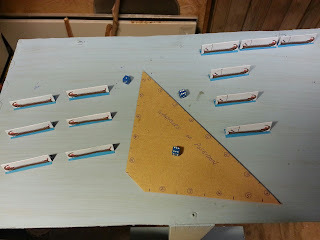 I've ordered a bunch of in expensive card stock ship tiles to start with. I'll move on to models once I get a better grasp of the era. Glad it was of use Ian.I will be doing a startup guide soon for newly interested.Older posts on here..some without tags..have a lot of info. I think this genre of gaming lends itself to card/paper very well. 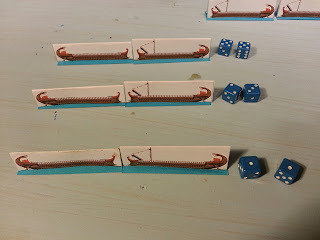 We played PW and thought that a chit draw system of activation would improve the game to avoid the usual igo-ugo problems you ascribe...thoughts? Also, what extras do you think they need to be a bit more historical in the way the game drives an outcome? 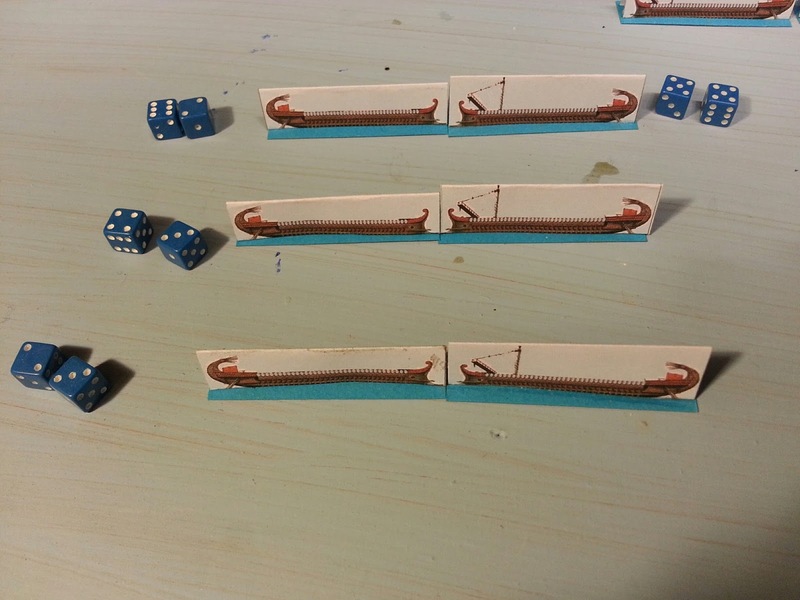 Lastly, I'm looking to build fleets for the Greek navies of the Peloponnesian war. Can I ask please, would you be able to comment on my post on TMP please. I grouped the ships into units and gave each unit a card in an activation deck - You can then either activate each side alternately in a random sequence or mix the sides and activate all units interleaved so the IGO-UGO is really on a unit-by unit basis and can be Ugo Ugo Ugo Igo. I dont think PW can be saved for a more complex game, it is ok for a mass of ships, but if you want some detail it probably needs a lot of modifying. OR . give each unit a quality dice to roll for initiative. Lousy =D4, Athens on a good day = d10, for example. At the game turn start roll a dice for every unit and activate through them all on a sequence of best score to worst- tying units dice again until a sequence is arrived at. The key is also to make sure the rules give some clear advantage to moving first. Extras --read earlier posts here. Its a long story. 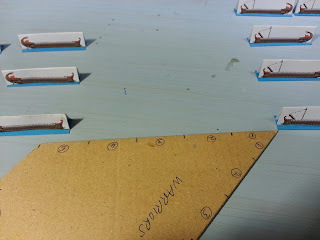 I have rules in the pipeline for different scales. Each scale can different emphasis in terms of game mechanics. See Navarchus or Hotz for larger ships, Society of Ancients or PW for the smaller end. 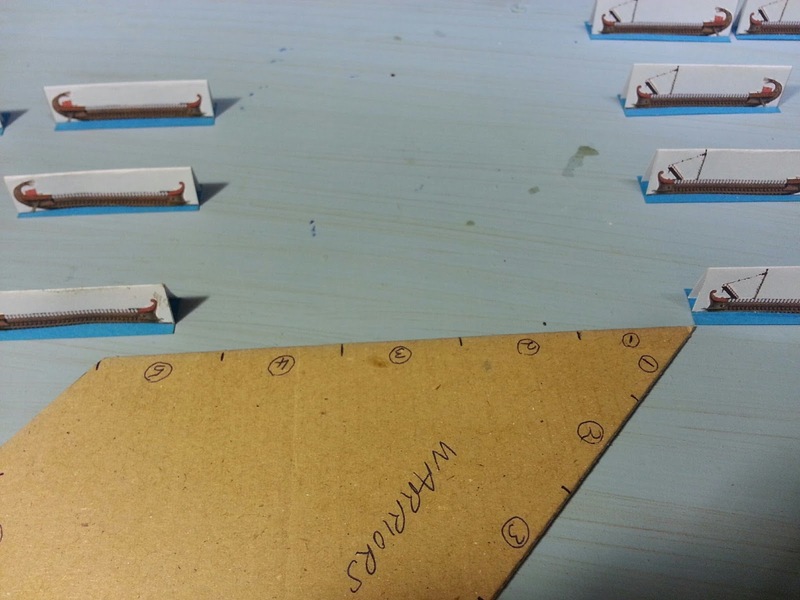 If you want deck troope represented then 1/600 with Irregular 2mm troops blobs is the smallest you can go, maybe. Lots of good thoughts there - thanks. I agree you don't want to gum up PW too much but I think some tweaks, given the relative simplicity of the game, are possible whilst still retaining the essence of the original.